Click here to submit or edit a proposal. 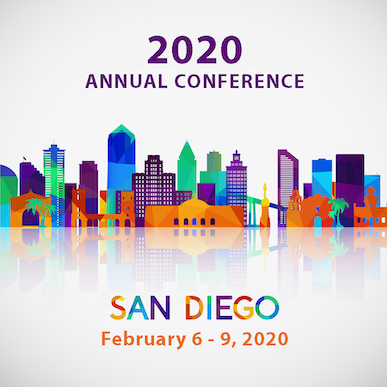 The 2019 AATSEEL conference in New Orleans was a great success and we have already started planning our next annual conference in San Diego, California. We are expecting an excellent lineup of workshops, thematic streams and special presentations in 2020. Phonology, Morphology, Syntax, Historical Linguistics, Discourse Analysis, Pragmatics, Semantics, Dialectology, Sociolinguistics, Cognitive Linguistics, Applied Linguistics, and Linguistics and Pedagogy. Second Language Acquisition, Empirical Studies in Language Learning, Study Abroad, Teaching of Individual Skills (pronunciation, reading, listening, writing, speaking), Content-based Instruction (in film, history, politics, culture, literature, etc. ), Curriculum Design, Language Teaching for Special Purposes, Teaching of Languages other than Russian (Polish, Czech, BCS, Romanian, etc. ), Use of Technology in Language Teaching. Individual Writers and Poets (Pushkin, Gogol, Dostoevsky, Tolstoy, Akhmatova, Bulgakov, Nabokov and others), Themes (history and literature, travelogues, gendered readings, etc. ), Critical approaches (including various theoretical approaches), Genre (avtorskaia pesnia, ode, drama), Periods (medieval to contemporary), Culture, Film, Dance, Music, Philosophy, and Religion. All prospective participants are strongly encouraged to consult the 2020 Conference Proposal Guidelines for additional information and to answer any questions. Additional questions about the proposal submission and decision processes may be directed to the Program Committee Chair, Yuri Leving (yleving@dal.ca). Each proposal will be reviewed by the Program Committee. Proposals for all formats should not exceed 300 words, but a successful, effective proposal for any format can certainly be shorter. Proposals for individual papers must identify a problem that needs solving in the fields of linguistics, pedagogy, literature, and/or culture, or present a hypothesis that sheds light on the interpretation of a text or body of texts. It should outline the author's plan for defending the paper’s hypothesis or advancing an interpretation. An abstract should not provide more than minimal background to the issue addressed in the paper, unless the background itself is the issue, and should not give more than a brief suggestion of the paper’s conclusions. Proposals for fully-formed panels in Pedagogy and Second Language Acquisition or in Literature and Culture (for panel proposals in Linguistics, see below) will now contain, in addition to a panel title, the titles of individual papers and names and email addresses of presenters, chair, and discussant (if there is one), a single paragraph-long statement, prepared by the panel organizer (who can also serve as one of the presenters, the chair, or the discussant). This single-paragraph proposal should also not exceed 300 words, and like a paper proposal it can be shorter. It must contain a concise description of the rationale for bringing the individual papers together as a panel and describe briefly how each paper fits into the discussion. No individual proposals for papers submitted as part of a fully-formed panel in Pedagogy and Second Language Acquisition or in Literature and Culture need to be included at the time the panel is proposed. If a panel proposal is accepted by the Program Committee, the organizer will be responsible for obtaining from each participant a description of each paper for inclusion in the program book, and sending in those descriptions to the Program Committee Chair by September 30, 2019. These descriptions, like individual proposals, should outline the author’s plan for defending the paper’s hypothesis or advancing an interpretation. If a description is not sent for an individual paper on an accepted panel, that paper may be deleted from the program. The panel organizer may be any of the above-listed participants, but no participant may serve in a second participant role on the same panel (e.g., chair and (co-)author, chair and discussant, (co-)author and discussant, etc.). The panel proposal should be submitted by the panel organizer and should contain, at the beginning, the panel title, the names and email addresses of the chair, the presenters, and the discussant (if there is one), and the titles of the individual papers. (Please repeat that information there even though it is entered in the list of participants above the Panel Description field.) That information should be followed by the panel description (as outlined above), which should not exceed 300 words, exclusive of the list of names and panel or paper titles. Panel themes may be broad or narrow, but panels in which the papers are focused on or connected to a particular topic, topic area or problem which provides a connective thread are encouraged (e.g., a panel on Aspect in Slavic, or Russian Dialectology, or Reflexes of the Neo-Acute in BCS, rather than on Russian Linguistics, or South Slavic Linguistics, where the papers might have little relation to each other). In addition to the panel description and list of papers, a standard abstract (as described for individual paper proposals earlier) for each paper in the panel must be included in the overall panel proposal (uploaded as provided for in the submission form). The individual paper abstracts should not exceed 300 words, exclusive of examples in the text and bibliographic references at the end. The panel proposal form will allow organizers to add presenters one at a time and to upload an abstract file for each one. The panel description itself should be entered in the field labeled “Panel Description” below the list of participants. Proposal deadlines are May 1, 2019 and July 1, 2019. Multiple Participation As of 2011, there is no longer a limit to how many times a member can appear on the program. Participants are limited to one single-authored paper in the general conference and one single-authored paper in each stream session (“A” and “B”); however, a member pre­senting a single-authored paper may also present a co-authored paper, as long as at least one additional co-author is registered and present at the conference (in other words, as long as the second paper results in registration for and attendance at the conference by an additional person). The first deadline allows for revision and resubmission of proposals, should reviewers deem that necessary. The second deadline does not allow for resubmission. Proposals should be no longer than 300 words. Detailed guidelines for proposals and published program abstracts from past years are available on the AATSEEL website. The Program Committee notes that all conference participants in a proposal must be AATSEEL members in good standing (or request a membership waiver) for the proposal to be sent out for review. Membership can be renewed online on the AATSEEL website. AATSEEL Membership and Conference Pre-registration. In conformity with AATSEEL's bylaws, all conference participants must be members of AATSEEL in good standing and must pre-register for the conference by December 15, 2019. AATSEEL Membership: Notification of acceptance of proposals will be sent only to AATSEEL members in good standing. Memberships expire June 30th each year. Presenters at the conference must have current memberships. Conference Registration: Conference participants who have not pre-registered by December 15, 2019 may be deleted from the conference program. Exceptions to Membership Requirement: Non-Slavists may apply to the Executive Director, Elizabeth Durst , for exemption from the membership requirement, which will be determined on an individual basis. This exemption is typically granted based on financial hardship. Please request exemption from the membership requirement when you submit your abstract, so as not to delay acceptance. Exemptions to Conference Registration: Colleagues from Eastern Europe and the former Soviet Union for whom the conference cost would prove a significant financial hardship may apply to the Executive Director, Elizabeth Durst (aatseel@usc.edu) for exemption from the registration requirement, which will be determined on an individual basis. Please request exemption from the registration requirement when you submit your proposal, so as to avoid being excluded from the program for failure to register. In addition, poets participating in the Poetry Reading who are not Slavists and are not taking part elsewhere in the program are exempt from the conference registration requirement, as well as the AATSEEL membership requirement.